Pool Man is one of the few pool companies around that offers service after the sale! 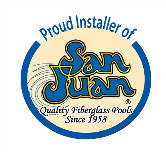 Call or stop by and we can schedule service for both pools and hot tubs. We service all brands, both commercial and residential. Pool Man is also a warranty center for many brands including Hayward, Pentair, Dolphin, Aquabot, Polaris and many more! You play and we’ll do all the work!